Welcome! 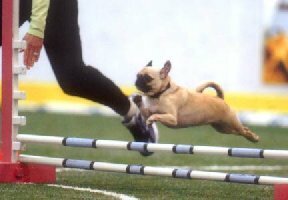 This is my page devoted to the Pug in agility! Here I want to post pictures of YOUR Pugs performing agility! If you would like to see your agility Pug's picture on this page please email it to me with a little info on your dog. As you can see I am currently re-doing the site! It will be a little bit longer before the whole site is revamped, but I think you guys will like it!